The Comprehensive Nuclear Test Ban Treaty was adopted by UN General Assembly in September 1996. 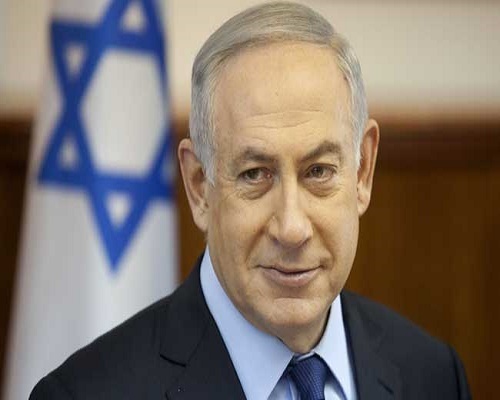 JERUSALEM: Israel Prime Minister Benjamin Netanyahu said Monday that Israel supports a treaty to ban nuclear testing but signalled his country was not yet ready to ratify a UN pact adopted by the UN nearly 20 years ago. Netanyahu’s office issued a statement on the Comprehensive Nuclear Test Ban Treaty after he met Lassina Zerbo, the head of the Vienna-based organisation which oversees it. The CTBT, adopted by the UN General Assembly in September 1996, bans all nuclear explosions. Israel, believed to be the Middle East’s sole if undeclared nuclear power, signed the treaty in 1996 but has yet to ratify it. The statement quoted Netanyahu as saying: “The state of Israel supports the treaty and its goals and has, therefore, signed the treaty. Israel strongly opposed last year’s nuclear deal between world powers and its arch-foe Iran, with Netanyahu arguing that it would not block the Islamic republic’s path to atomic weapons. Zerbo, executive secretary of the CTBT Organisation, expressed optimism that Israel was on track toward ratification. The CTBT has been signed by 183 states and ratified by 164 including Russia, France and Britain, three of the nine countries which have, or are believed to possess, nuclear weapons. But to enter into force, the treaty needs 44 specific “nuclear technology holder” states to ratify it, eight of whom have yet to do so. The eight include the six in the nuclear club that have yet to ratify the pact — the United States, China, India, Pakistan, North Korea and Israel — as well as Iran and Egypt.